MoU signed to support startups by young entrepreneurs 2018-08-08 | Ismaili.NET - Heritage F.I.E.L.D. 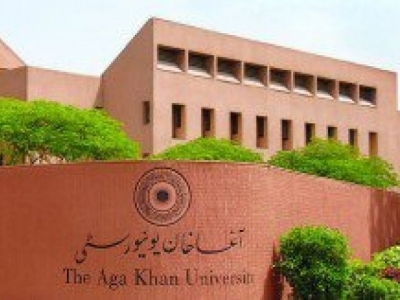 Organization of Pakistani Entrepreneurs of North America (OPEN), Aga Khan University and a Pakistani multinational pharmaceutical company on Tuesday signed a Memorandum of Understanding to support startups by young entrepreneurs that solve today's challenges in healthcare and medical education. The MoU was signed by Firoz Rasul, the AKU president and Dr. Zakiuddin Ahmed, OPEN (Karachi Chapter) president, who is also director of the PharmEvo's Digital Health and Strategic Projects. "In United States, opportunities are provided to those individuals who try to implement new ideas and technologies but fail and their failure help them in learning a lot from their mistakes," AKU president Firoz Rasul said, speaking at the MoU signing ceremony. He hastened to add that such failures help them improve their projects in view of previous shortcomings. He said objective behind today's partnership was to support and promote new ideas and help the startups so that new products based on technology and innovation could be introduced in the field of healthcare and medical education. He said that innovation is the lifeline of AKU and the country and they are looking forward to new ideas and products from students and faculty. "Universities have a very important role to play in promotion of science and technology to minimise sufferings of the ailing humanity," he said. Dr. Zakiuddin termed the partnership as an 'exciting initiative' and hoped it would promote innovation and creativity in Pakistan. He said AKU has emerged as the only university that has taken such type of initiative and they were ready to support their students and faculty in materializing their innovative ideas. "Pakistani students are so much talented that they can revolutionize healthcare in Pakistan with their ideas and startups," he said, adding that OPEN, which is the largest organization of Pakistani entrepreneurs in North America, having its chapters in London and Pakistan, is committed to support startups at university level in Pakistan. Dr. Zaki informed that their organization was already running a virtual hospital where doctors and patients were connected through technology, irrespective of distance among them. He said they do a lot of 'digital health' and regularly conduct webinars to promote healthcare in Pakistan. Dr Asad Mian, Director, Critical Creative Innovative Thinking (CCIT) forum at AKU said the collaboration between AKU, OPEN as well as the pharma industry was aimed at capacity building of young AKU students and seeking serious partnerships for the university-based startups. "The CCIT is busy in promoting use of technology, for which we are having partnerships with other organizations and inviting foreign speakers," he said, expressing hope this new collaboration would result in innovative solutions in the area of healthcare in the country. On the occasion, four groups presented their projects and apps based on research, transforming workplace-based teaching, improving student relations and helping them organize their studies.